A $1,000 minimum donation to the Arboretum is requested to establish a dedicated tree. This covers the cost of acquiring the tree, planting it, labeling it, and provides funds for future maintenance expenses. Trees and sites are to be selected from the Arboretum’s wish list to insure that sites free of utilities are selected and desirable species are obtained. Your donation will be acknowledged by receipt from the Arboretum for tax purposes. Donations for dedicated trees are deductible as allowed by law. 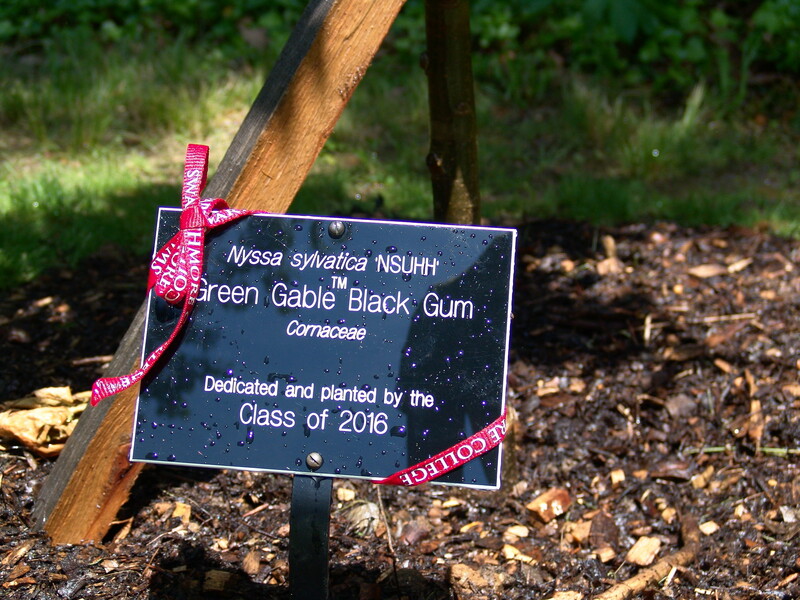 Dedicated trees are identified with black engraved labels which convey the tree’s scientific and common names. These labels are 5″ x 7″. Text of your choosing may be up to 4 lines, 45 characters per line (including spaces). One line may have larger letters with a maximum of 32 characters. Trees acquired for dedication are typically 5-l0 feet tall; size will depend on the type of tree selected and its availability. If a dedicated tree dies within 2 years of being planted, it will be replaced with no additional donation. Efforts will be made to replace it in kind; however, if that type of tree is unavailable, a substitution will be made. After 2 years, if a dedicated tree dies, an additional donation will be requested to replace the tree. Dedications are for the life of the tree. Some species are best planted only in the spring. The planting of dedicated trees will be planned based on the best planting time. To arrange a fall planting please contact the Scott staff by July; for a spring planting please inquire by March. 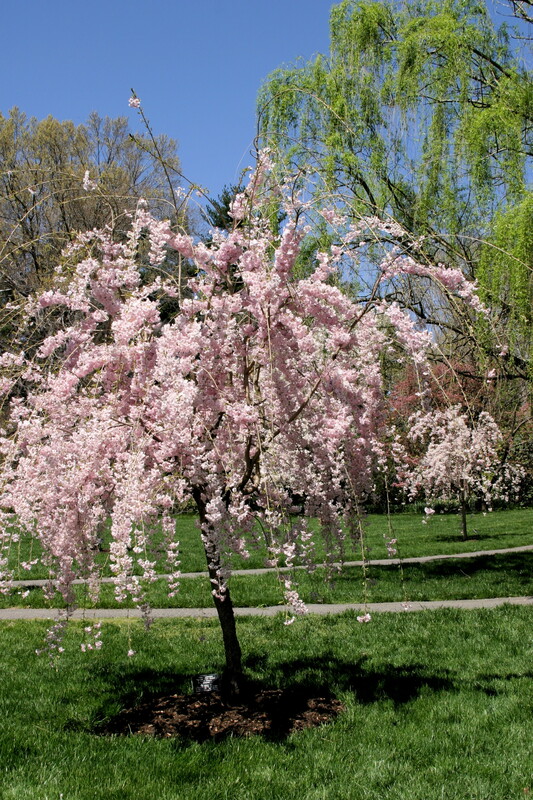 The College reserves the right to transplant or, if necessary, remove dedicated trees if required for future building efforts. The Arboretum staff will attempt to contact you to inform you about necessary changes. There are opportunities for more substantial giving to the Arboretum. Please contact the Scott Arboretum director if you’re interested in larger garden projects and naming opportunities. Dedicated trees are acknowledged in the year given in our annual report. Dedication information is maintained and accessible to the public in our plant records system. 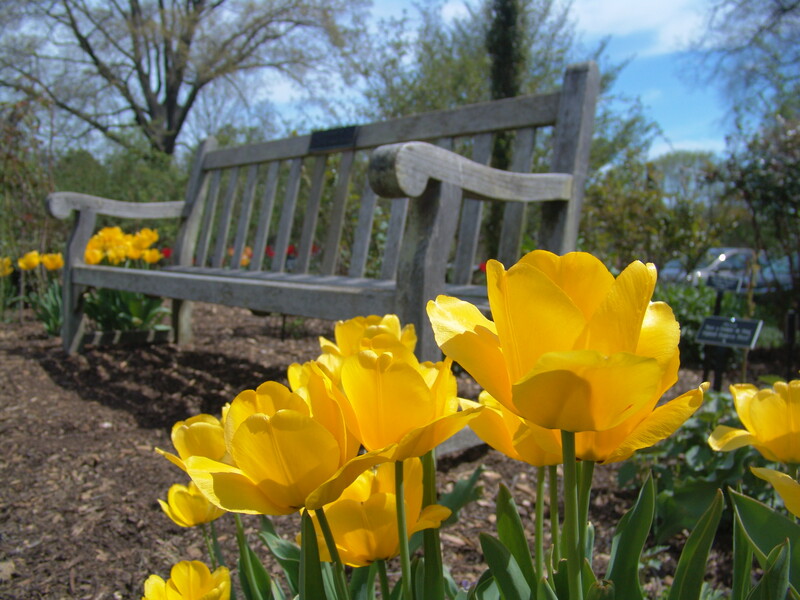 We welcome the opportunity to add benches to the Arboretum through generous contributions. This information may be helpful should you decide to give a contribution for a dedicated bench. The standard contribution for a bench is $2,000 (as of January 2015); unusual or custom-built benches or particular benches may call for a larger donation. A brass engraved plaque is added to the back of the bench noting the dedication information as specified by you. Text may be up to 4 lines, 55 characters per line (including spaces). One line may have larger letters, with a maximum of 25 characters. The plaque measures 2″ by 6″. This recognition will be for the life of the bench purchased with the contribution. Your donation will be acknowledged by receipt from the Arboretum for tax purposes. The bench sites and styles are to be selected from the Arboretum’s wish list to insure sites are in keeping with Arboretum and College plans. The Arboretum and College reserve the right to move dedicated benches should the need arise. Gifts of dedicated benches will be recognized in our annual report. There are opportunities for more substantial giving to the Arboretum. Please contact the Scott Arboretum director if you are interested in more substantial naming opportunities. The Scott Arboretum established the Gertrude Wister Society in 2003 to honor donors who have chosen to support the Arboretum through a planned gift. 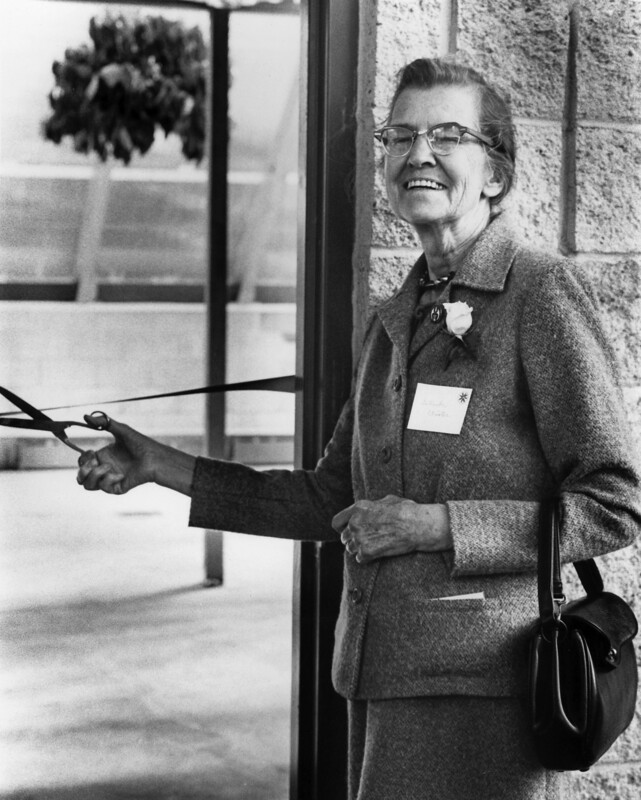 Gertrude Wister was the assistant director of the Scott Arboretum for thirty years. Her contributions of time and resources to the Scott Arboretum during her life helped nurture the Arboretum to its current beauty. Her 2001 bequest valued at close to a half-a-million dollars significantly contributes to the continued health of her beloved Arboretum. Satisfaction of being a part of the Arboretum and supporting its mission. Recognition in a special section of the annual report. Invitations to special Arboretum Events held especially for our donors. Providing a bequest to the Scott Arboretum is a meaningful way to ensure that its variety of plants and many specialized programs continue to grow and thrive. Bequests from Gertude Wister and others who loved the Arboretum have helped form the basis for the Arboretum’s current endowment. Endowment funds supporting horticultural endeavors currently generate about 70 to 90% of our operating budget. The Arboretum uses planned gifts as you designate. If you specify a bequest be treated as a permanent endowment, the funds will be invested and will grow over time and be protected to serve your intentions. You may tailor a bequest to fit your individual needs and wishes and may save substantial amounts in estate, gift, income, and capital gains taxes while supporting the Arboretum. You may make an unrestricted bequest to allow the gift to be applied where the need is greatest. You may also earmark a bequest for a specific cause, such as permanent endowment funds for a specific garden or special project. Funds of $25,000 or greater may be named and managed as separate funds; gifts of less than $25,000 specified as endowment will be added to existing permanently restricted Arboretum endowment funds. If you are considering restricting your gift, we encourage you to discuss your ideas and the language you use before you finalize the gift documents to ensure your aims are realized and we can accept the designations. For gifts to be permanently restricted, this must be done by the donor at the time the gift is made. 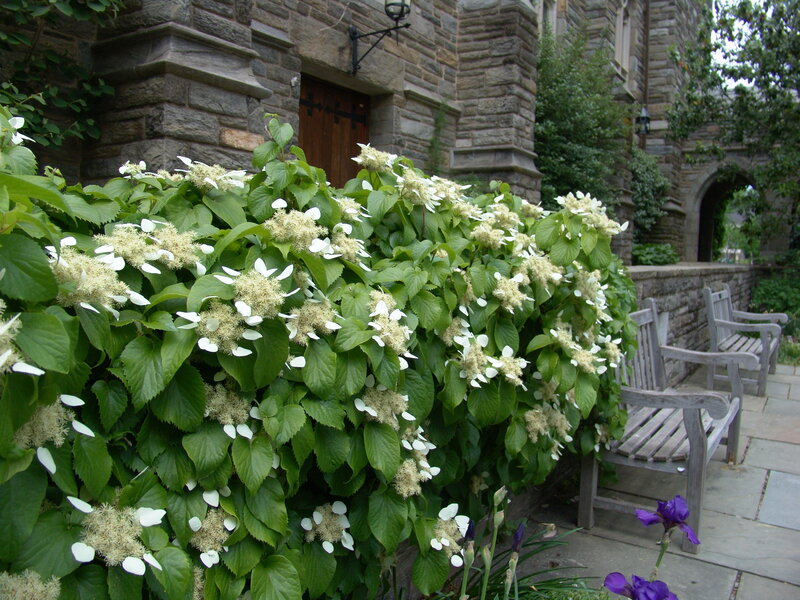 If you have already made a bequest to the Scott Arboretum or would like additional information, please contact Claire Sawyers, Director of the Scott Arboretum at 610-328-8025 or via e-mail at scott@swarthmore.edu.